which raised $153 million in around three hours. The digital coin issued is called the Bancor network token (BNT) and it was built on the Ethereum platform. A key aspect of Ethereum is the so-called smart contract functionality. Smart contracts are contracts that automatically execute when certain conditions are met from all interested parties. The automation can help to speed the process up, ensuring no mistakes along the way. It does this through what it calls “smart tokens” which can be generated through the Bancor network. These smart tokens or digital coins hold one or more other cryptocurrencies in reserve which means that it can always be traded. For example, if there was a digital coin that only had a few thousand users, it would be difficult to trade as there would not be a large pool of people wanting to buy and sell it. But if that digital token had a popular and large reserve cryptocurrency like ether then there would always be liquidity to trade. But ICOs are not flawless. As a result of the large demand for BNT, the Ethereum network became congested during the coin offering last year, leading to delays for buyers. CNBC spoke to Galia Benartzi, the co-founder of Bancor, and asked her about the ICO process and the company’s ambitions . The industry has matured a great deal since Bancor held its TGE in June, 2017 and yet still has a tremendous way to go. We are learning more every day than ever seemed possible, as seemingly disparate fields from economics, history, psychology, system design, network effects, finance, law, ethics, sustainability and others converge in the blockchain space. Some of the main learnings are actually in areas that the Bancor Protocol aims to shed light on. For example, in today's ecosystem, one of the main jobs of a token issuer is to plan for its liquidity, via costly exchange listings and market makers. We hope that in the future, token creator's will be able to focus on their networks, products and users, when liquidity is fair and free for all. there will be scrutiny from regulators and scams. ICOs have seen both. But the new nature of these digital token issuances has meant that the regulatory landscape globally is fragmented with each country looking at ICOs in different ways. The short answer: it depends where you are. It’ll be hard to go through every single country in the world, but let’s look at the major markets. China, which was once a prolific market for cryptocurrencies, has come down hard on the industry. Last year, the People's Bank of China declared ICOs as illegal, warning people of the risks involved in investing in them. Shortly after, South Korea followed, banning raising money through virtual currencies. 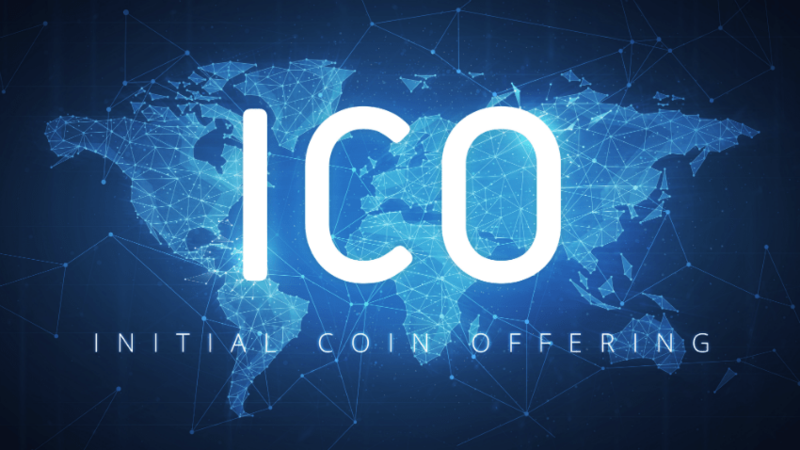 In the United States, there are no specific regulations for ICOs, but depending on how the digital coin is classed, it may fall under the jurisdiction of the Securities and Exchange Commission (SEC). The regulator is in charge of overseeing trading in various financial products. If the SEC deems that a coin is a “security,” then the company behind it may have to register with the regulator. The SEC has been very vocal however on warning people about the dangers of investing in ICOs. “As with any other type of potential investment, if a promoter guarantees returns, if an opportunity sounds too good to be true, or if you are pressured to act quickly, please exercise extreme caution and be aware of the risk that your investment may be lost,” the SEC says on its website. The watchdog also issued a warning last year to celebrities who endorse ICOs saying that they may need to disclose information about the relationship with the company if the digital coin is deemed to be a security. Elsewhere, in Europe, the European Securities and Markets Authority (ESMA) released guidance on ICOs last year. The regulator said that ICOs that qualify as financial instruments could fall under the relevant laws to do with anti-money laundering or investment legislati Some countries are attempting to actually create new rules in order to bring ICOs into the regulatory fold. For example, the government in Malta recently approved three new bills related to cryptocurrencies and blockchain technology. One of those new laws aims to bring a regulatory regime to ICOs. “If you put a regulator’s lens on, regulators are saying ‘oh my gosh there is a concentration of crypto capital that is in these ICOs, these people aren’t in the financial system, what is happening to the money’,” Lawrence Wintermeyer, a principal at advisory business Capstone, told CNBC. “There is a huge concern retail people might be exposed to this.” Many countries are looking into how to regulate ICOs but there’s clearly a disparity around the world. The lack of regulation however is a factor behind major scams — one of the biggest issues right now with ICOs. Investing in ICOs is risky business for a number of reasons. Often people are putting money into products that don’t exist yet. While this may not sound too dissimilar to say very early stage investing in other start-ups, the people placing bets on ICOs are usually unsophisticated investors. These projects have high failure rates too. Already, hundreds of coins are dead, meaning the projects behind them were scams, a joke or didn’t materialize. Dead Coins is a website that lists all the cryptocurrencies that fall into those categories. So far, it has identified just over 800 digital tokens that it considers dead. These coins are worthless and trade at less than 1 cent. Investors are still trying to get their money back but because of the lack of regulation, there is very little consumer protection in the space. Another high-profile scam involved a company called Centra Tech Inc. It was an ICO backed by champion boxer Floyd Mayweather. The U.S. Securities and Exchange Commission (SEC) charged the founders with carrying out a fraudulent ICO. Even successful ICOs have their problems. Bancor, whose coin offering we detailed above, suffered a security breach that saw $13.5 million worth of digital tokens stolen. Many experts in the field however have predicted that ICOs are here to stay and that they will become professional. "Unfortunately Passport's security disappoints in several key ways." Telegram has never publicly announced or verified the existence of its billion-dollar ICO. But as documents started to leak earlier this year, it became clear that the company, more widely known for its chat app, aimed to compete with many of the services – from filesharing to encrypted browsing – that crypto startups had already proposed. Plus, it wanted to bring blockchain-based payments to the Telegram chat app, which in recent years has become popular among the crypto community. Payments and identity verification go hand-in-hand, making Passport a natural early offering from the company. Plus, disrupting the digital ID incumbents like Equifax, which keep data in centralized databases vulnerable to breach and abuse, has long been a shared goal of the cryptocurrency community, so it's is a fitting place for Telegram to start. In its blog post about the new product, Telegram promises that "your identity documents and personal data will be stored in the Telegram cloud using end-to-end encryption. It is encrypted with a password that only you know, so Telegram has no access to the data you store in your Telegram passport." It goes on to promise that, eventually, this data will be stored in a decentralized fashion, Identity was one of the components of the ambitious blockchain-based system that Telegram promised in its ICO technical whitepaper. But from the looks of Virgil Security's findings, Telegram needs to go back to the drawing board. Virgil Security's chief critique of Passport's security is the way it encrypts its passwords. In announcing Passport, Telegram released a considerable amount of information about how the system works. In particular, Virgil Security focuses on the fact that Telegram uses SHA-512 to hash passwords. "It's 2018 and one top-level GPU can brute-force check about 1.5 billion SHA-512 hashes per second," they write. It goes on to estimate that with enough computers, these passwords could be busted for anywhere from $135 to $5 each, depending on the strength of the passwords users chose. However, before an attacker could begin its attack, it would need to first breach Telegram itself, as Virgil acknowledges. "To access the password hashes, the attack would have to be internal to Telegram. The ways that could happen are numerous — insider threat, spearphish, one rogue USB stick, etc," Virgil Security co-founder Dmitry Dain told CoinDesk. And if lots of users begin using and in turn loading this data into Telegram's Passport, it will make the company a very attractive target. Telegram has long been criticized for taking its own approach to cryptography, rather than relying on established standards. That said, Telegram's model has not been known to have been broken so far. The other danger to users Virgil Security critiques is a bit more nuanced: the fact that the data uploaded to Passport isn't signed. By cryptographically signing data (an integral part of blockchain architecture broadly), users can quickly verify the data was loaded there by the person who claimed to have loaded it and it hasn't been changed. Without a cryptographic signature, an attacker could change some part of the data and no one would know. "Now, when people see 'end-to-end encrypted,' they believe that their data will safely be sent to a third party without worries of it being decrypted or tampered with. Unfortunately, Passport users will have a false sense of confidence." Yet, with Virgil Security's critiques and the newness of the product, it should be relatively simple for Telegram to harden its security (Virgil Security is one provider of end-to-end encryption). Telegram did not immediately reply to a request for comment. Brady Dale is a reporter who has previously written for Fortune, Technical.ly Brooklyn, Next City and Motherboard, among others. He grew up in Kansas and lives in Brooklyn. has been unveiled and the resilience of the community is set to be rewarded with a TRX airdrop according to a series of announcements from Justin Sun and the TRON Foundation. Last month’s promise appears to have been fulfilled and now the platform has introduced Atlas as the secret project. Project Atlas will add more efficiency on the platform as TRON seeks to integrate BitTorrent into its system, since the acquisition of the “torrenting outfit”, many enthusiasts have been wondering how it will help the coin to remain relevant in the market and reality seems to be downing. The announcement comes at a time when the TRX price is struggling and this might mean a breakout in the coming days now that the network is fully independent. During the Independence Day celebrations, Justin Sun, the TRON founder, hinted about the TRON Virtual Machine and a secret project and the community was anticipating the unveiling of BitTorrent only to be surprised with the introduction of project Atlas. Project Atlas will is a major boost to the entire TRON framework that will see the Mainnet and the coin scale the heights in efficiency. Already there are more than 3,500 entrants and to take part, toy need follow the TRON fonder on twitter, retweet his posts, follow the TRON foundation on Instagram and as a participant; you need to have your referral code. However, after the announcement, TRX price is still in the red trading at $0.035371 after shedding 4.96% to the dollar and 4.75% to Bitcoin. Many TRX holders and followers had expected the good news to give the coin a push north but only a total of $191.6 worth of TRX have changed hands in the last 24-hour trading period. Cami Albert is an expert in blockchain technology and an ardent Altcoin analyst. Cami has worked on various cryptocurrencies projects and has vast experience in providing advice to digital market investors. to the cryptocurrency industry. More than 81 percent of all ICOs are fraud. Most investors and enthusiast are unaware of these pump and dump schemes. Due to it unregulated nature, most of these ICOs successfully swindle individuals get away with it. In recent times, specialized cryptocurrency research centers have been established. These centers were created to analyze cryptocurrency market conditions and information which analysts provide. Such analysts must have had experience working with large securities companies and private equity fund firms. The primary objective of these centers is to help individuals better understand the dynamic cryptocurrency market from an investor’s view. ICOs have continued to be plagued by these frauds, and these special centers are in place to curb the disease amid a regulatory vacuum. Chain Partners Inc., South Korea’s first blockchain company builder, announced on July 29 that it was hiring employees for its research center. Cryptocurrency analysts who have five-year work experience in the investment banking industry stand a better a chance being hired by the company. The Chain Partners Research Center is headed by Han Dae-hoon, the former analyst at SK Securities Co. and Shinhan Investment Corp. The center is taking important steps, as it already presented a cryptocurrency index for the first time in Korea. Apart from this, a daily report analyzing the cryptocurrency market home and abroad is published. Another important step the Korean research center is trying to take is developing an index like the KOSPI 200. This can show the price trend and transaction data of major cryptocurrencies, like Bitcoin and Ethereum. China Partners is not the only center willing to have an index. Bloomberg, together with US fund industry legend, Michael Novogratz, created Bloomberg Galaxy Crypto Index (BGCI). The BGCI also bases its calculations based on cryptocurrencies with the most market capitalizations and transactions, including Bitcoin, Ethereum, and Ripple. Another company which recently launched its own research center, is Coinone, South Korea’s third-largest cryptocurrency exchange. The primary goal of the center is to present a premium standard for cryptocurrency analysis. Like Chain Partners Research Center, it also releases a report on cryptocurrency analysis and weekly market conditions. Streami Inc. is not left out, as it recently received an ISO/IEC270001 information security certificated by the International Organization for Standardization. The company which runs cryptocurrency exchange, Gopax, is gearing towards providing Cryptopic that contains essential information on crypto investment. Binance, one of the largest digital currency exchanges by market capitalization, is set to launch an application app called Binance Info. The company is test running the app by recruiting pre-users before the official release. According to a Binance official, Binance Info would provide information on about 1,200 coins and industry news. most people know at least a little bit about cryptocurrencies and blockchain. However, there are many terms and phrases within the industry that many might not understand to the fullest extent. One of these terms is “airdrop”, which is one of the hottest things in the crypto industry. If you don’t quite understand what an airdrop is or why they’re important, don’t worry. This article will take an in-depth look at airdrops and explain all you need to know to understand them. Before getting into the details of airdrops and why they take place, we need to first introduce you to the concept and idea. In the simplest form, an airdrop is free coins for certain individuals. They are essentially the process when a cryptocurrency enterprise distributes tokens to a user’s wallet, completely free of charge. Airdrops are commonly done by start-ups, but established companies or platforms can do them as well. The coins that are airdropped often are fairly low in value (at least initially), or are just used within the ecosystem of a platform, but definitely have the potential to grow. Plus, who is going to say no to free coins? A recent example of an airdrop is the CLO (Calisto) airdrop for ETC (Ethereum Classic) owners. The airdrop took place at the 5,500,000th block of the ETC blockchain, which occurred about a month ago on March 5th 2018. This airdrop meant that each holder of ETC at the time the 5,500,000th block was processed, received an equal amount of CLO, for free. So if you had 15 ETC at the snapshot of the 5,500,000th block, you will automatically receive 15 CLO into your wallet, without any cost to you. In addition to this, some companies will airdrop their own tokens, while others will airdrop the token to holders of a more popular coin or token, to generate more buzz and get some eyes on their platform. In general, there are a few different kinds of airdrops and how they can come about. They can arise from forks, ICO purchases, or just random freebies from a company. Arguably the most well-known example of an airdrop is when Bitcoin Cash (BTC), the hard fork of Bitcoin, gave current Bitcoin holders the equal amount of Bitcoin Cash. So if you had one Bitcoin, you got one Bitcoin Cash for free. Currently, each BTC is trading at over $700 (but has reached much higher in the past), which is a pretty good deal to have gotten for free. When it comes to finding out about different types of airdrops, a company will either announce it beforehand to generate buzz, or they will simply airdrop the coins as a surprise without any warning. If you are curious about upcoming airdrops and how to become involved, a good resource to follow is AirdropAlert. This website gives you times an information for past, previous and future airdrops and is a great and handy tool for keeping track of them. Of course, as we mentioned, sometimes airdrops will be done without warning, so not every airdrop that occurs will appear on the site. Why Would Companies do an Airdrop? You might be wondering why a company would simply give away tokens for free. Well, the decision is made for a number of different reasons. The first one related to marketing. An airdrop can be a way for a company or platform to spread awareness to interested investors and enthusiasts, without having to spend a lot of money on marketing. There are so many cryptocurrencies in the space, so getting noticed and more awareness is always a positive. And what better way to get people talking or interested in your platform than offering them something for free? It is a pretty sweet deal for investors as you don’t really have to do anything normally, other than hold a certain type of coin, to reap the rewards and benefits. It is a win-win for the cryptocurrency themselves (as airdrops often lead to a rise in coin prices and an increase in exposure) and for consumers (free coins are always a good thing). Another reason for an airdrop is to reward loyal customers. Companies who have a large and active community, or who have been doing pretty well, might decide to reward their customers, users and token holders. This will not only excite the users, but also might lead them to continue using the platform and participating in the ecosystem. One last common reason for airdrops is for lead generation. Generating leads and gathering useful information is very important for marketing. In exchange for airdropping free coins, a company or platform might ask users to complete online forms that contain valuable information for targeted marketing purposes. Participating in Airdrops is as simple as holding a certain token or coin in an Ethereum or Bitcoin wallet (depending on what the specific airdrop requires). Any wallet should do, though some might require a specific wallet such as a non-exchange ERC-20 compatible wallet. The wallet also needs to be active to ensure it is owned by a human and not one of 1000 randomly generated wallets with the sole purpose of getting more of the airdropped token. Also, while airdrops are free coins, you still need to do your research and remain vigilant to ensure you don’t get scammed. This means you should never send any private keys, never send any money, and check official sources to make sure that the airdrop is legitimate and real. Safety is the most important thing, so ensure you are comfortable with any company or platform before investing in or using them. In conclusion, hopefully, this article has helped you understand everything about airdrops such as why they occur, why companies are okay with doing them, how to participate and more! laughable and small. In the ensuing years, bitcoin has matured, become far less risible and grown massively. Underscoring bitcoin’s maturation, the currency set new price records this week as the value of a single coin crossed the $2,000 threshold. Since bitcoin was announced in 2009, and certainly since I first wrote about it in 2013, the ecosystem of cryptocurrencies has exploded. Cryptocurrencies have expanded since the days bitcoin shared some of the media’s spotlight with litecoin and the silly-by-design dogecoin. It was a time when Mt. Gox ruled, cupcake shops could become media darlings by accepting the digital currency and pizza was a critical bitcoin-pricing metric. Now, there are dozens of cryptocurrencies worth eight figures, and the birth pace of new entrants is accelerating. In that particular milieu of freshly launched coins is a newly famous transaction type we need to understand called the “Initial Coin Offering” or ICO. An ICO is akin to an IPO, but in temporal reverse (sort of). Although confusing, it has recently acquired prominence as a favored way to launch a new cryptocurrency. But as is typical of nascent cryptoproducts, there are legal questions and unethical players in the mix. So let’s explore what an ICO is in the current cryptocurrency market. ICO “coins” are essentially digital coupons, tokens issued on an indelible distributed ledger, or blockchain, of the kind that underpins bitcoin, a crypto-currency. That means they can easily be traded, although unlike shares they do not confer ownership rights. […] Investors hope that successful projects will cause tokens’ value to rise. So ICOs can be coins on top of coins funded by the transfer of other cryptos to accounts in the hunt for what’s next. That might sound crazy, but it’s hot times in the crypto world. And that heat is keeping ICOs bubbling. The same Economist piece, published in April of 2017, notes: “[n]early $250m has already been invested in [ICOs], of which $107m alone has flowed in this year,” a metric that it attributes to the aforementioned Smith + Crown. That is a lot of money, making ICOs large in terms of their sheer dollar-scale. It’s therefore not hard to understand why more traditional business publications are paying attention. Following the money is their jam. In short: ICOs are the new funding slingshot by which nascent cryptos are flung into the world. As with any boom, there are bad actors to be found in the land of ICOs. Given bitcoin and the larger cryptocurrency world’s deep tradition of enduring bad behavior, it is not a surprise that ICOs are attracting humans of base intent. ICO fraud and skullduggery is common enough that a quick search yields heart-melting headlines like “Ver Backed Qtum Founder Ran Previous ICO Scam,” “To everyone that bought into the Matchpool ICO, it looks like it was maybe a scam…,” and “A Digital Currency Scam is Misusing the Rothschild Family Name.” All of the articles are from this year to date. In the world of ICOs, fraud is never hard to find. Add in regular sums of incompetence that any new venture could fall prey to, and ICOs feel a bit Old West. Most ICOs today are marketed as ‘software presale tokens’ akin to giving early access to an online game to early supporters. In order to try to avoid legal requirements that come with any form of a security sale, many ICOs today use language such as ‘crowdsale’ or ‘donation’ instead of ICOs. So regulation is out of the mix for now. There is an argument to be made that a dearth of regulatory oversight is actually good, as it allows the ICO market to iterate and innovate quickly. It is a reasonable(ish) argument and likely technically correct, but that doesn’t mitigate the potential for unsophisticated investors to be preyed upon. Caveat emptor and moral hazard are fine arguments in favor of no rules regarding ICOs and cryptos, but if the market wants to keep growing, it will need to do more to attract consistently larger pools of capital. Is there a chance that ICOs will slow? Of course, but the forces behind them run a bit deeper than we might have first guessed. CryptoHustle makes the related point in a recent article that “ICO mania is likely due to early Ethereum adopters making serious returns after the last bull run.” Etherum’s run has certainly been staggering. If it is fueling the ICO craze, we could be in for a long cycle. Regardless, the point doesn’t mean that cryptomarkets are as they should be. That ICOs would eventually get ahead of themselves and bubble like so many young technology niches was predicted at least since last October. How long the good times will last isn’t obvious. But the correction will come, as always, and when it does, we’ll see which cryptos have a real shot. The cryptocurrency market is hot once again. And while it continues to set new records, a host of altcoins will demand its slice of the market. Should you buy into an ICO? Only if you have a massive appetite for risk, zero fear of losing your capital and are willing to take a flying chance on an idea that could flop. Then again, crowdfunding has similar risks and seems perfectly healthy. Your call. Alex Wilhelm is Crunchbase's Editor in Chief. He previously worked for The Next Web, TechCrunch, and Mattermark. Alex enjoys long walks on twitter boards, espresso, and responsive keyboards. Author adminPosted on July 29, 2018 Categories BusinessTags cryptocurrency, ico, ICOs, markethiveLeave a comment on WTF is an ICO? How Can I Get Free Cryptocurrency From an Airdrop? already prone to extreme levels of interest by digital money enthusiasts, some of the most-hyped events are airdrops. An airdrop is an event in which a cryptocurrency developer issues free coins or tokens to a user base, sometimes as a result of a hard fork and sometimes as part of a promotion or other change in network design. The key for most investors is becoming aware of the airdrop phenomenon before it takes place. If you find out too late, you've missed out on your chance for free tokens or coins. Fortunately, a report by decentralpost.com provides cryptocurrency investors with tools to gain more advanced notice about these special promotions and giveaways. One of the most common scenarios in which an airdrop is likely to take place is a hard fork of a major cryptocurrency. More than 20 bitcoin hard forks have taken place in the past year, for instance, and some of these resulted in investors who previously held bitcoin receiving new tokens for simply maintaining their investments. EtherZero, LitecoinCash, and MoneroV were projects that caused a similar level of investor sensation in recent months. In each of these cases, though, time showed that the forked coin was far less important than the original, and the new altcoin eventually lost interest and value. How should an investor go about monitoring upcoming airdrops to make sure that he or she has access to the latest altcoin information? One of the first and most important tools is Twitter. This social media platform has become a hotbed for cryptocurrency investors, and it's common for a digital currency developer to provide information about an upcoming airdrop via a tweet. Investors may even regularly search for the phrase "airdrop" on Twitter, although this can provide a deluge of information that is difficult to sift through. For this reason, dedicated Twitter accounts like Crypto Airdrops and AirdropAlert can be useful. Besides Twitter accounts dedicated to upcoming airdrops, information about these events can be found at a number of different websites. Of course, there is no guarantee that any information found on Twitter or on one of the sites above will be genuine, or that a newly issued digital currency will not be fraudulent, so investor caution is paramount. Nathan Reiff is a writer and musician based in the New York City area. He holds degrees from Yale University and the University of Michigan. Nathan has previously worked for Orion Consultants and Partners in Performance and has written for Internet Brands on subjects ranging from money matters to personal and home development. His interests include technology, travel, and food. Author adminPosted on July 28, 2018 Categories BusinessTags airdrop, airdrops, cryptocurrency, markethiveLeave a comment on How Can I Get Free Cryptocurrency From an Airdrop? Author adminPosted on July 27, 2018 Categories BusinessTags cryptocurrency, ico, ICOs, markethiveLeave a comment on What Is an ICO? What are Airdrops in Crypto World? Getting involved in airdrops requires access to information and the ownership of a cryptocurrency wallet to receive the free coins. The first step is to sign up for online services that provide timely information about cryptocurrency airdrops. These include websites, Twitter accounts, Telegram groups, as well as online cryptocurrency airdrop forums. Some examples of such online services include Airdropaddict and Icodrops. These services provide vital information that will help users stay informed about upcoming cryptocurrency airdrops. They also provide information on the qualifying criteria for participating in the airdrops.FundYourselfNow also has an ongoing Airdrop Programâ. Author adminPosted on July 26, 2018 Categories BusinessTags airdrop, airdrops, cryptocurrency, markethiveLeave a comment on What are Airdrops in Crypto World?